As part of its continued efforts to eliminate anonymous traffic, Russia's internet censor has demanded that 10 leading virtual private network (VPN) providers comply with local laws or face a ban. 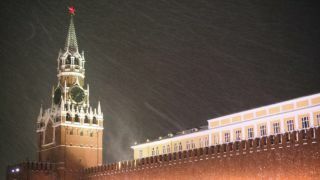 The Kremlin's communication watchdog, Roscomnadzor, said that it has sent letters to the VPN providers ordering them to comply with a ban on anonymizers within 30 days. Of the 10 VPN providers it has informed, all but one are foreign-based except for a VPN owned by the Russian cybersecurity firm Kaspersky Lab. The proposed ban on VPNs is the latest push by Moscow to make foreign internet companies comply with its oppressive laws that Roscomnadzor enforces. Last year the country tried to ban the encrypted messaging app Telegram but this move backfired when the company proved better at skirting Russian laws than Roscomnadzor did at enforcing them. One of the ways in which Telegram users continued to access the messaging platform was by using VPNs though it can now often be accessed from within the country without one. Back in 2017, Russia banned VPNs though it had previously taken measures to prevent them from working within its borders. According to Roscomnadzor, the Russian secret service was responsible for asking it to demand that the 10 VPN providers comply with local laws. Russian law requires that all VPN providers sign up for a government system which facilitates the sharing of information between the companies and its security services. The VPN providers contacted by Roscomnadzor still have 30 days to comply, so we'll keep you updated on the matter as it develops.